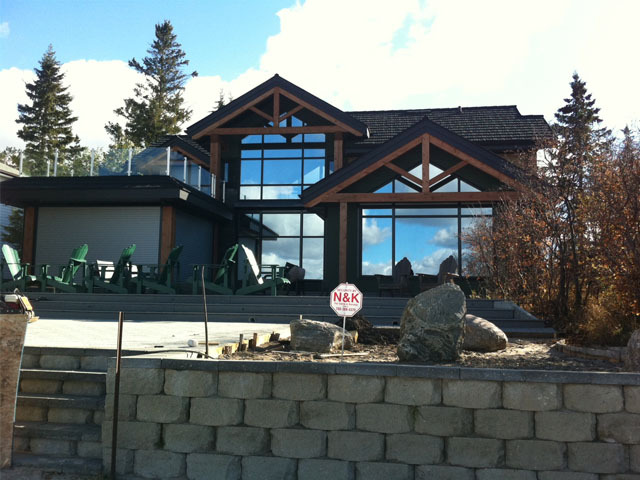 Warm in winter, cool in summer, security all year long! 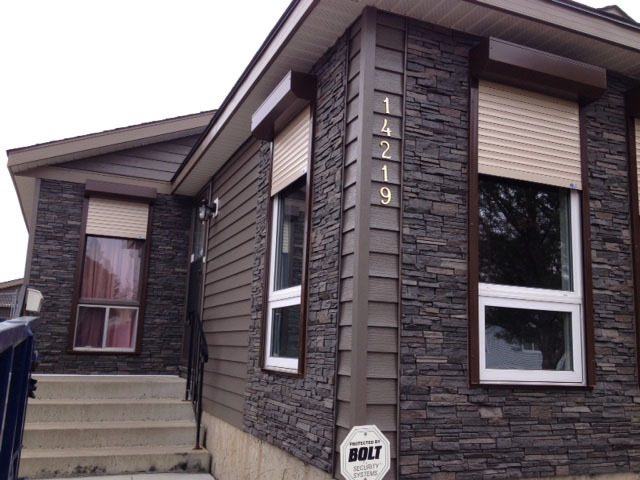 Call now for your free quote! 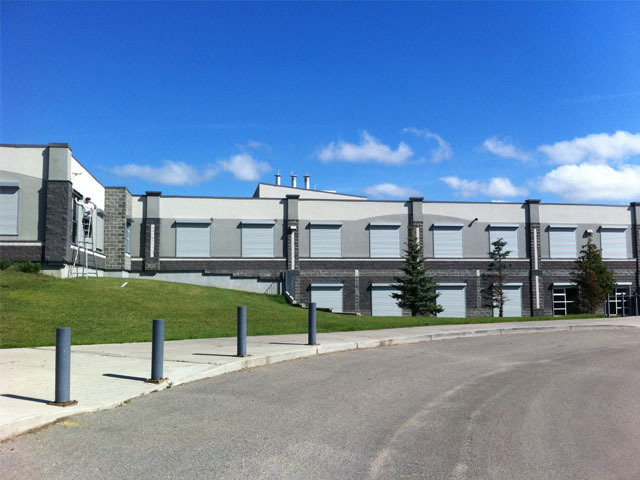 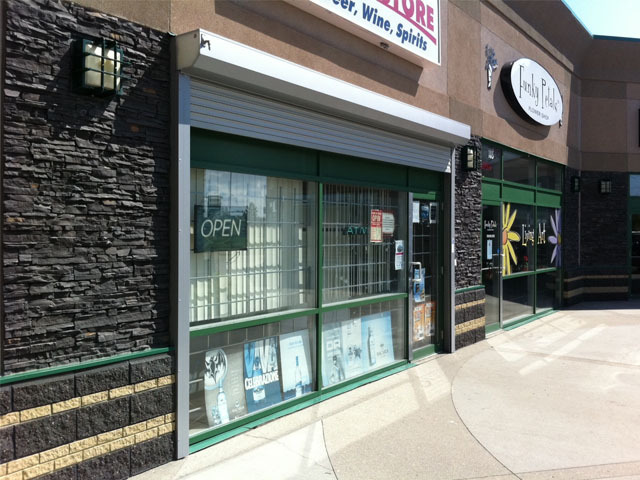 Protect your home or business and add value with a sturdy and stylish rollshutter system by K&F Rollshutter Manufacturing, Edmonton’s only rollshutter manufacturer. 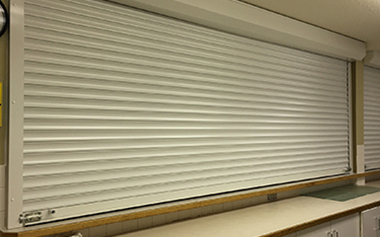 Our European-inspired, German-engineered Alulux rollshutters are designed to the highest standards, and can be custom manufactured to meet almost any design need. 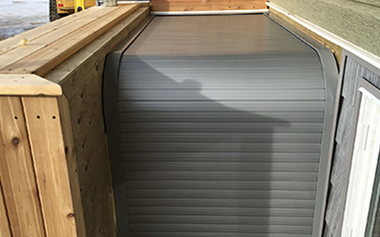 Whether you’re looking to add value to your home and cabin, integrate rollshutters into a new build, or to protect your office or business, K&F has the rollshutter you need to take advantage of the great benefits rollshutters offer. 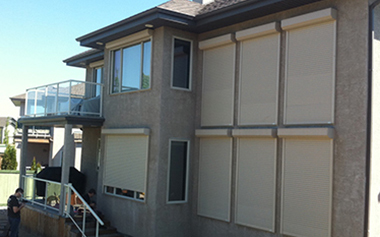 Energy efficient – Rollshutters help prevent the loss of heat and warmth through windows saving you money on heating and air conditioning. 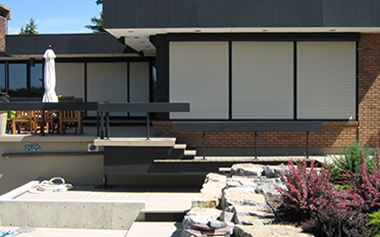 Added protection – Rollshutters resist pry bars and intrusion, deterring break-ins and adding to your peace of mind. 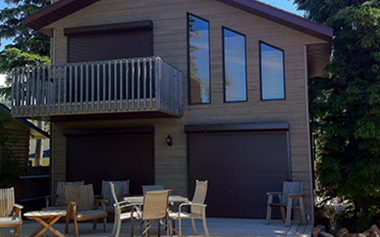 Stylish and comfortable – With a variety of colours of finishes available, rollshutters are an elegant and attractive way of adding value and security to your home or cabin. 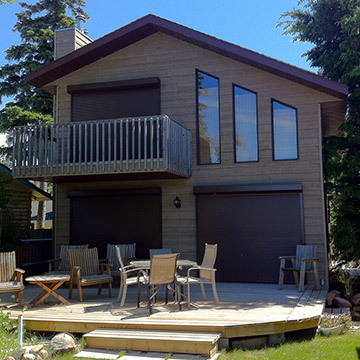 When it comes to light control and comfort, nothing can match a custom-made rollshutter by K&F manufacturing. 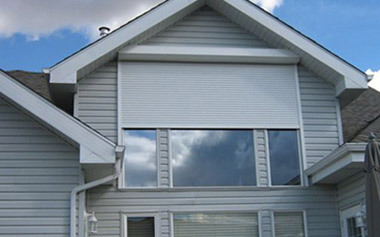 Forget about flimsy curtains and rickety blinds that let light and noise bleed through. 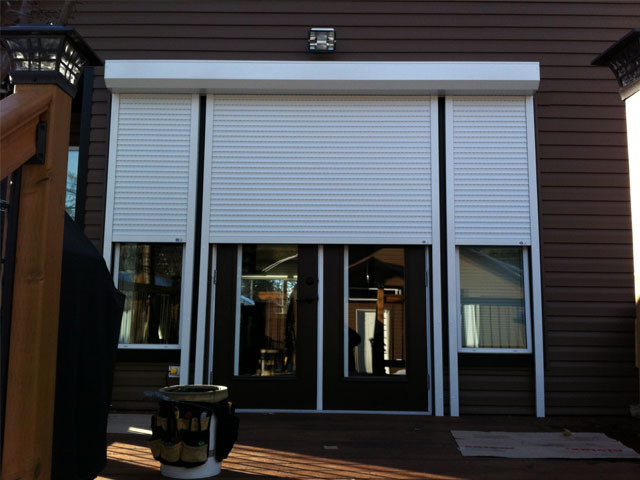 K&F rollshutters give you up to 99% and exceptional noise reduction, and come in a variety of colours and finishes to give you the exact look you want. 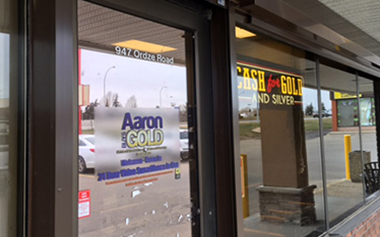 Shut out would-be intruders and vandals with the superior security offered by a sturdy and reliable rollshutter. 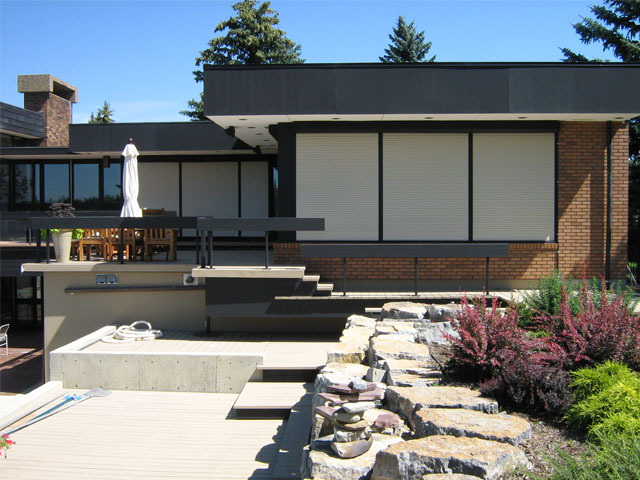 Strong aluminum shutter slats lock together to form a solid barrier that resists prying and impact, protecting not only your windows and glass, but your products as well. 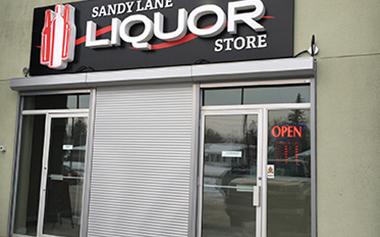 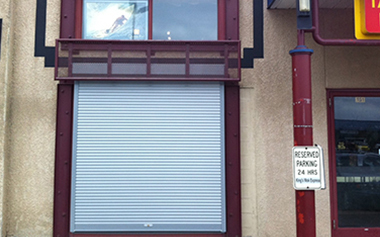 K&F will custom design and build your storefront rollshutter to your exact specifications. 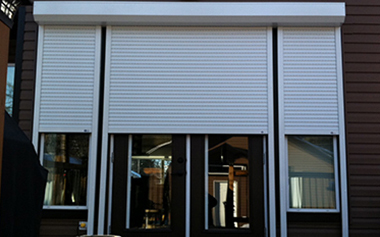 K&F spring-locking rollshutters are ideal for a wide variety of commercial applications. 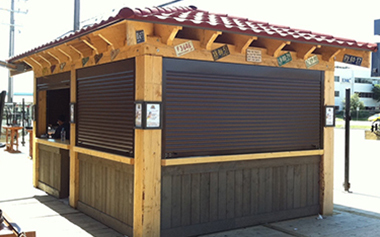 Like our residential and storefront products, K&F’s line of commercial rollshutters offer added security and peace of mind, and are custom built to your exact specifications. 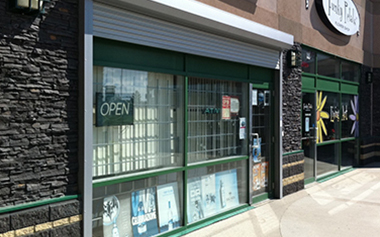 Consult the rollshutter experts at K&F before starting your next project. 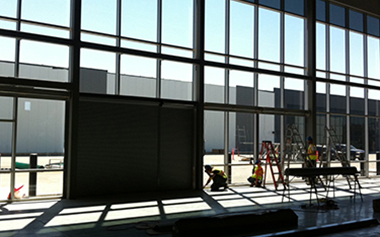 By integrating rollshutters into new construction from the very beginning, we can ensure the window is designed to accommodate the system. 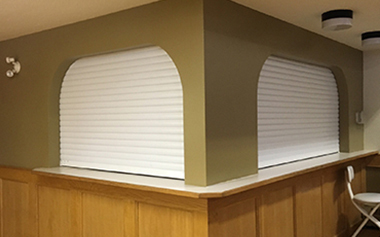 Guide tracks and housing boxes get hidden, making the shutters virtually invisible while open for a perfectly clean, elegant look without sacrificing any of the benefits. 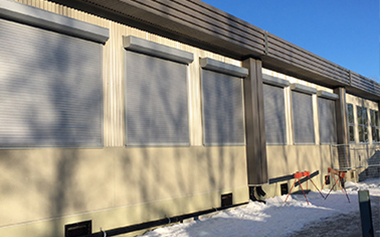 One of the great advantages of K&F’s rollshutters is their capacity for near-total customization and functional versatility with applications in a variety of commercial and residential markets. 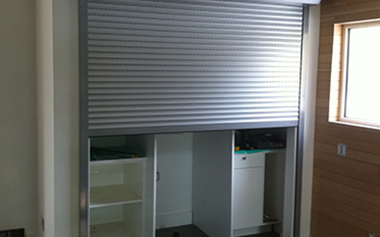 Whether you need a c-can partition or room divider, our rollshutters are a dependable, cost-effective solution.